Have you been down to Boulders Beach and seen the penguins? We are very lucky in Cape Town to have a beautiful beach dedicated to penguins, giving them a place to live without being endangered. Today we are reading penguin stories and then Luca will show you how to make your own paper penguin. They might not fly in the air, but they do in the water. It would be lovely if you could join us. Okey Ndibe, from Nigeria, is tha author of two highly acclaimed novels – Arrows of Rain and Foreign Gods. He teaches African and African Diaspora literature at Brown University. Petina Gappah is a Zimbabwean writer with law degrees from Cambridge, Graz University and the University of Zimbabwe. Her debut story collection, An Elegy for Easterly, won the Guardian First Book Prize in 2009. Her debut novel, The Book of Memory, is this month’s Book of the Month at the Book Lounge. If you buy it in August you will get a 20% discount plus a FREE ticket to see her at the festival on September 1oth. Namwali Serpell is originally from Zambia but is based in America. She is the 2015 winner of the Caine Prize, for her short story, The Sack. She was previously shortlisted in 2010 for Muzungu. She was awarded the Rona Jaffe Foundation Writers’ Award in 2011. Yvonne Adhiambo Owuor is a Kenyan writer, who won the 2003 Caine Prize for African Writing for her story ‘Weight of Whispers’. A number of her other stories have since been published. She was the Executive Director of the Zanzibar International Film Festival, where she organised a Literary Forum in 2004 and was named ‘Woman of the Year’ by Eve Magazine in Kenya in 2004. Her novel, Dust was first published by Kwani in 2013. Alain Mabanckou is perhaps best known locally for the brilliant if disturbing African Psycho. He has been longlisted for the 2015 Man Booker International for Letter to Jimmy, an ode to James Baldwin and an effort to place Baldwin’s life in context within the greater African diaspora. Great Aunt Oleander is dead. To each of her nearest and dearest she has left a seed pod. The seed pods might be deadly, but then again they might also contain the secret of enlightenment. Not that anyone has much time for enlightenment. Fleur, left behind at the crumbling Namaste House, must step into Oleander’s role as guru to lost and lonely celebrities. Bryony wants to lose the weight she put on after her botanist parents disappeared, but can’t stop drinking. And Charlie struggles to make sense of his life after losing the one woman he could truly love. A complex and fiercely contemporary tale of inheritance, enlightenment, life, death, desire and family trees, The Seed Collectors is the most important novel yet from one of the world’s most daring and brilliant writers. As Henry James said of George Eliot’s Middlemarch, The Seed Collectors is a ‘treasurehouse of detail’ revealing all that it means to be connected, to be part of a society, to be part of the universe and to be human. Clayton Burroughs is the Sheriff of Bull Mountain and the black sheep of the brutal and blood-steeped Burroughs clan. In the forties and fifties, the family ran moonshine over six state lines. In the sixties and seventies, they farmed the largest above-ground marijuana crop on the East Coast, and now they are the dominant suppliers of methamphetamine in the Southern states. An uneasy pact exists between the law man and his folk, but when a federal agent with the Bureau of Alcohol, Tobacco and Firearms shows up in Clayton’s office with a plan to shut down Bull Mountain, his agenda will pit brother against brother, test loyalties, and set Clayton on a path to self-destruction. At its heart, Bull Mountain is a story about family, and the lengths men will go to protect it, honour it, or, in some cases, destroy it. “Panowich had me at the first word of his spectacular debut novel and he held me until the very last page … a sprawling, gritty, violent, tribal inter-generational crime epic with a deeply rooted sense of place and an gut-punch ending I didn’t see coming.” C.J. Box, New York Times-bestselling author of Endangered. 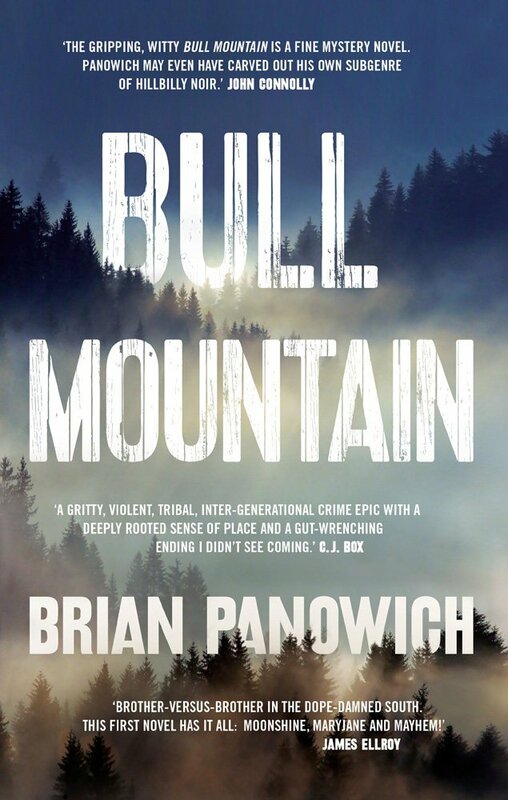 “The gripping, witty Bull Mountain is not only a fine debut, but a fine mystery novel, period. Panowich may even have carved out his own subgenre of hillbilly noir. I can’t wait to see what he comes up with next.” John Connolly, New York Times-bestselling author of The Wolf in Winter. Winter is savage and cold in Lapland. 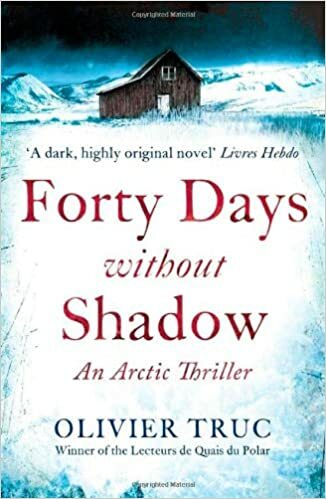 When a priceless local relic is stolen from Kautokeino, a village in the middle of the isolated snowy tundra, detectives Klemet Nango – a familiar face in the rural community – and Nina Nansen, fresh out of the local police academy, are called to investigate. There are just a few days until the locals will host a UN conference on indigenous peoples, and Klemet and Nina are under pressure to retrieve the artefact. When a local reindeer herder is found brutally murdered soon afterwards, Klemet and Nina immediately suspect that the two events are linked. But the villagers don’t take too kindly to having their secret histories stirred up and the duo is forced to cross the icy landscapes alone in search of the answers that will lead them to a killer. Set in an alternately savage and dreamlike Lapland, this compelling, award-winning thriller tells the story of a native people fighting to keep their culture alive in a modern world of ruthless destruction. How far would you go to save your family from an invisible threat? A terrifyingly original thriller from the author of The Machine. Soon, we’ll be able to predict everything. We’ll predict weather patterns, traffic jams. We’ll predict who is going to run countries. Laurence Walker wants to be President of the United States. He’s a sure thing: adored by the public, ex-military, a real family man. But then ClearVista, the world’s foremost prediction software, tells the world his chances. And not only will he not be President, but it predicts that he’s going to do the worst thing he can imagine. But can he change that destiny? Or is ClearVista simply showing him the man that he’s always meant to be? It will predict that Laurence’s life is about to collapse in the most unimaginable way. Murder Squad 4: Alongside Jack the Ripper there is another brutal serial killer roaming the streets of Victorian London. The spectre of Jack the Ripper still haunts Inspector Walter Day, his injured leg a daily reminder of his violent brush with London’s most feared killer. He alone is convinced that the Ripper remains at large. But, worse is to come for Scotland Yard’s Murder Squad. A new killer is terrorizing the citizens of London. They call him the Harvest Man; he hides away in the attics of the unsuspecting, emerging at night to terrorize his victims. This macabre new threat requires Inspector Day to confront his demons, but he soon discovers that the Ripper himself continues to toy with Scotland Yard’s finest. The game has only just begun . 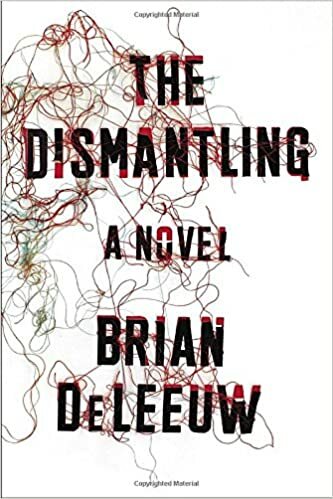 . .
Brian DeLeeuw hits that sweet spot between literary and commercial suspense with his brilliantly adept, ingeniously plotted novel—a chilling, fast-paced drama that urges readers to question the meaning of atonement and whether revenge might sometimes be the only way we can liberate ourselves from our past. Twenty-five-year-old med school dropout Simon Worth is an organ broker, buying kidneys and livers from cash-strapped donors and selling them to recipients whose time on the waitlist is running out. When a seemingly straightforward liver transplant has an unexpectedly dangerous outcome, Simon finds himself on the run. In order to survive, he must put aside his better moral judgment and place his trust in a stranger who has a shocking secret. The beautiful game just got ugly. In Athens, where London City is set to play Olympiacos in the Champion’s League, the temperature is high, and tempers even higher. Greece is rioting and manager Scott Manson is keeping his team on a tight leash. There must be no drinking, no nightlife and no women. After the game, they are to get back to London refreshed and ready for a crucial match at home stadium Silvertown Docks. But Scott didn’t plan for death on the pitch. When City’s star striker collapses mid-match, it shocks the nation. Is it a heart attack? Or something more sinister? 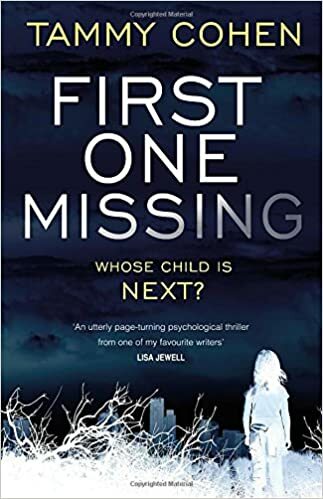 As the Greek authorities mount a murder investigation, Scott Manson must find the truth – and fast – to get his team home in time. 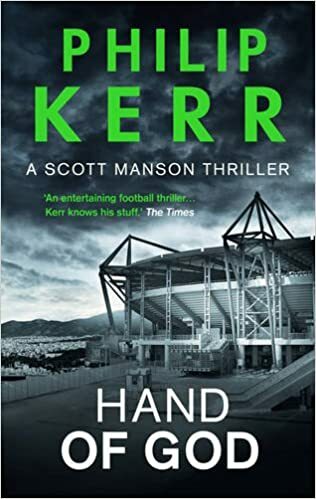 The second Scott Manson thriller from bestselling crimewriter Philip Kerr. 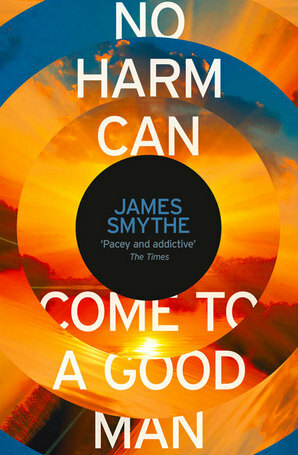 The latest psychological th riller from the acclaimed author of The Mistress’s Revenge and The Broken. – Even close friends can’t understand what you are going through. – Only in a group with mothers of other lost children can you find real comfort. But as the parents gather to offer eachother support in the wake of another disappearance, a crack appears in the group that threatens to rock their lives all over again. Welcome to the club no one wants to join. Locked in a cabin, on a ship bound for Leningrad, Lev Termen types a letter to Clara, his ‘one true love’ and remembers his early years as a brilliant young scientist. Inventor of the ethereal, musical theremin, Termen performed in the gilded concert halls of Russia and Europe to rapturous applause. The toast of the Soviet Union, he was sent to New York with a plan to infiltrate capitalism itself, to win its heart and capture its secrets. But instead, Manhattan infiltrates Termen and in the city of dreams he rubs shoulders with Gershwin and Rachmaninoff, the Rockefellers and the Astors, Charlie Chaplin and Glenn Miller, and dances night after night with the beautiful young violinist Clara Rockmore. But when his spy games fall apart and he is forced to return home, he finds the Motherland not quite as he left it. Exiled to a Siberian Gulag, with nothing but his wits to keep him alive, Termen is drawn ever deeper into the labyrinth of Stalin’s Russia, where only his feelings for Clara, passing through the ether like the theremin’s song, seem to show a way out. An irresistible French sensation – Mr Penumbra’s 24-hour Bookstore meets Amélie – The Reader on the 6.27 explores the power of books through the lives of the people they save. It is sure to capture the hearts of book lovers everywhere. Guylain Vignolles lives on the edge of existence. Working at a book pulping factory in a job he hates, he has but one pleasure in life . . . Sitting on the 6.27 train each day, Guylain recites aloud from pages he has saved from the jaws of his monstrous pulping machine. And it’s this release of words into the world that starts our hero on a journey that will finally bring meaning into his life. For one morning, Guylain discovers the diary of a lonely young woman: Julie. A woman who feels as lost in the world as he does. As he reads from these pages to a rapt audience, Guylain finds himself falling hopelessly in love with their enchanting author . . . The Reader on the 6.27 is a tale bursting with larger-than-life characters, each of whom touches Guylain’s life for the better. This captivating novel is a warm, funny fable about literature’s power to uplift even the most downtrodden of lives. We are absolutely delighted to be able to welcome not one, but TWO outstanding international childrens’ illustrators – Chris Riddell and Marc Boutavant – to this year’s Open Book Festival! Chris Riddell is a prize-winning children’s book author and illustrator as well as the political cartoonist for The Observer. He has won many awards for his work, including the Nestlé Gold Award and the rare honour of two Kate Greenaway Medals. As author and illustrator, he has published the Ottoline and Goth Girl series amongst many others. Together with Paul Stewart, he coauthored and illustrated a number of titles including The Edge Chronicles. He recently worked with Neil Gaiman on The Sleeper and the Spindle, and previously collaborated with him on The Graveyard Book. He was appointed as the UK Children’s Laureate in June 2015. Marc Boutavant is the award-winning author and illustrator of the bestselling Around the World with Mouk and Ariol series. In addition to his own work he has collaborated on several children’s books, including Never Tickle a Tiger. From the incomparable Russell Hoban comes a moving, unflinching tale of a boy who finds bravery during illness, beautifully re-imagined as a graphic-novel by award-winning illustrator Alexis Deacon. Asleep in his hospital bed, Jim dreams of a great lion with white teeth and amber eyes. This lion is Jim’s finder. According to Nurse Bami, everyone has a finder, a creature who comes looking for us when we are lost. 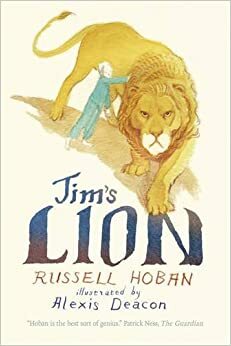 But when the time comes for Jim’s operation, will his lion be able to find him and bring him safely home? With the inclusion of powerful dream sequences, and a triumphant message of facing one’s fears, Russell Hoban’s tale of a boy’s search for strength and courage will resonate with any child dealing with adversity or sickness. A bold and brilliant novel about love, lies and redemption, from award-winning author, Jenny Valentine – one of the greatest YA voices of her generation. Iris’s father, Ernest, is at the end of his life and she hasn’t even met him. Her best friend, Thurston, is somewhere on the other side of the world. Everything she thought she knew is up in flames. Now her mother has declared war and means to get her hands on Ernest’s priceless art collection. But Ernest has other ideas. There are things he wants Iris to know after he’s gone. And the truth has more than one way of coming to light. Winner of the CILIP Carnegie Medal 2015. “What kind of a girl steals the clothes from a dead man’s back and runs off to join the army? A desperate one. That’s who.” At the end of the American Civil War, Charley – a young African-American slave from the deep south – is ostensibly freed. But then her adopted mother is raped and lynched at the hands of a mob and Charley is left alone. In a terrifyingly lawless land, where the colour of a person’s skin can bring violent death, Charley disguises herself as a man and joins the army. Soon she’s being sent to the prairies to fight a whole new war against the “savage Indians”. 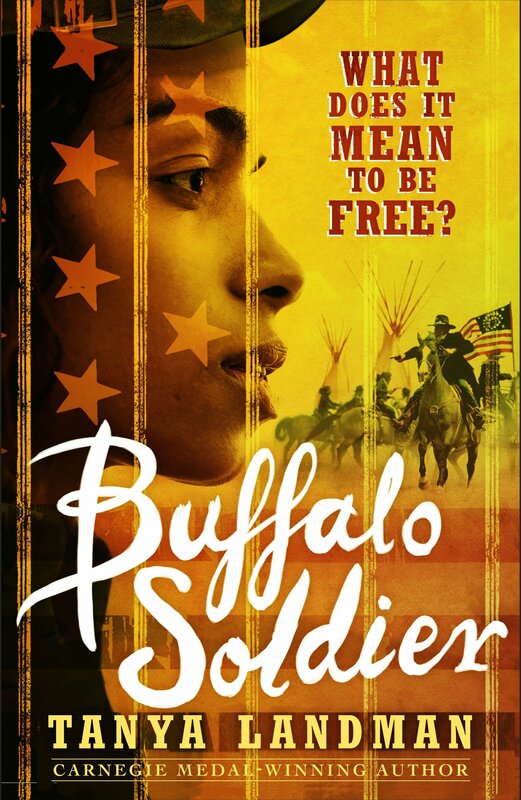 Trapped in a world of injustice and inequality, it’s only when Charley is posted to Apache territory that she begins to learn what it is to be truly free. Drawn and Quarterly: 25 Years of Contemporary Cartooning, Comics, and Graphic Novels celebrates the storied transformation of the Montreal publisher whose veneration of the medium’s best cartoonists has never wavered. In 1989, when the term graphic novel was not commonly heard in the comic shop or bookstore, Chris Oliveros created a comics magazine that took the industry by storm when early issues featured Peter Bagge, Julie Doucet, Carol Tyler, Jacques Tardi, and Seth. Armed with an unparalleled editorial aesthetic, design sense, and passion for its artists, D+Q gracefully grew from a one-man operation into a wildly influential boutique publisher. D+Q is renowned for an author-friendly ethos of high production standards, creative freedom and fair business practices, with a roster including Lynda Barry, Kate Beaton, Chester Brown, Daniel Clowes, Tove Jansson, Shigeru Mizuki, Art Spiegelman, Adrian Tomine, Chris Ware, and others from around the globe. Drawn and Quarterly: 25 Years is a celebration of the brilliant cartoonists whose talent and loyalty is the core of D+Q’s success as a 21st-century independent publisher. The book digs into the archives and features comics, biographies, personal reminiscences, and photographs; new work by Michael DeForge, Guy Delisle, Miriam Katin, R. Sikoryak, Jillian Tamaki; essays by Margaret Atwood, Jonathan Lethem, Sheila Heti, Deb Olin Unferth; interviews by Jeet Heer and Sean Rogers. India is a nation of 1.2 billion, but the country’s 100 richest people own assets equivalent to one-fourth of India’s gross domestic product. The rest of the population are ghosts within a system beyond their control. This includes the millions that live on less than $2 a day; or the hundreds of thousands of farmers who commit suicide, unable to escape ruinous debts; where dalits are driven from their villages because the owners want to turn the land to agribusiness. These are examples of a ‘gush up’ economy that has corrupted contemporary India. Capitalism: A Ghost Story examines the dark side of democracy, and shows how the demands of globalized capitalism has subjugated billions of people to racism and exploitation. It is a ferocious attack on the mega corporations that treat India’s natural resources like robber barons, and how they have been able to influence every part of the nation from the government to the army in the rush for profit. 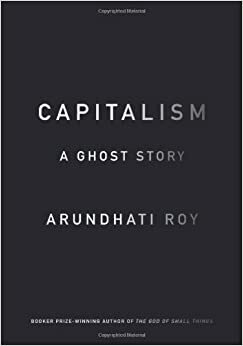 But, as Arundhati Roy passionately argues, capitalism is in crisis. The cracks are starting to show in its facade. Water is the most every day of substances. It pours from our taps and falls from the sky. We drink it, wash with it, and couldn’t live without it. Yet, on closer examination it is also a very strange substance (it is one of only a very small number of molecules which expand when cooled). Look closer again and water reveals itself as a key to a scientific story on the biggest of canvases. Water is crucial to our survival – life depends on it – but it was also fundamental in the origins of life on Earth. The millions of gallons of water which make up our rivers, lakes and oceans, originated in outer space. How it arrived here and how those molecules of water were formed, is a story which takes us back to the beginning of the universe. Indeed, we know more about the depths of space than we do about the furthest reaches of the oceans. Water has also shaped the world we live in. Whether it is by gently carving the Grand Canyon over millennia, or in shaping how civilisations were built; we have settled our cities along rivers and coasts. Scientific studies show how we feel calmer and more relaxed when next to water. We holiday by the seas and lakes. Yet one day soon wars may be fought over access to water. 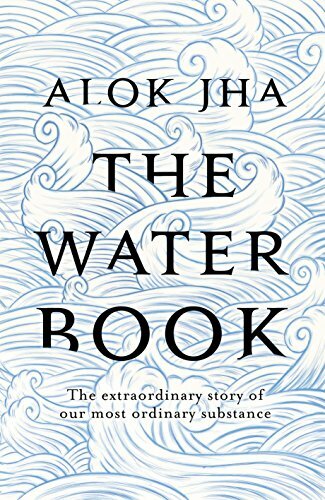 The Water Book will change the way you look at water. After reading it you will be able to hold a glass of water up to the light and see within it a strange molecule that connects you to the origins of life, the birth (and death) of the universe, and to everyone who ever lived. A 3,162 km race. A 48-year-old man. A 100-year-old bike. Made mostly of wood. That he built himself. Tim Moore sets off to recreate the most appalling bike race of all time. 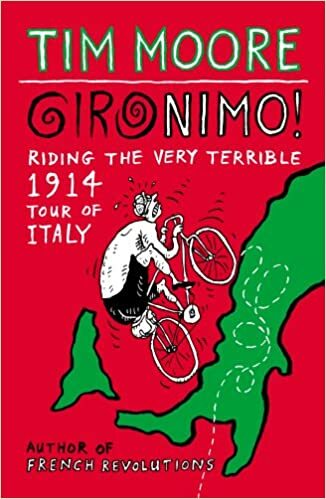 The notorious 1914 Giro d’Italia was an ordeal of 400-kilometre stages, cataclysmic night storms and relentless sabotage – all on a diet of raw eggs and red wine. Of the 81 who rolled out of Milan, only eight made it back. Committed to total authenticity, Tim acquires the ruined husk of a gearless, wooden-wheeled 1914 road bike with wine corks for brakes, some maps and an alarming period outfit topped off with a pair of blue-lensed welding goggles. From the Alps to the Adriatic the pair relive the bike race in all its misery and glory, on an adventure that is by turns bold, beautiful and recklessly incompetent. In this era of email intercepts and drone strikes, many believe that the spy is dead. What use are double agents and dead letter boxes compared to the all-seeing digital eye? They couldn’t be more wrong. The spying game is changing, but the need for walking, talking sources who gather secret information has never been more acute. And they are still out there. 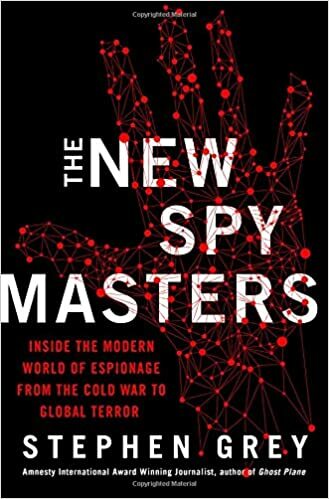 In this searing modern history of espionage, Stephen Grey takes us from the CIA’s Cold War legends, to the agents who betrayed the IRA, through to the spooks inside Al-Qaeda and ISIS. Techniques and technologies have evolved, but the old motivations for betrayal – patriotism, greed, revenge, compromise – endure. This is a revealing story of how spycraft and the ‘human factor’ survive, against the odds. Based on years of research and interviews with hundreds of secret sources, many of the stories in the book have never been fully told. The New Spymasters will appeal to fans of John le Carré, Jason Bourne and Ben Macintyre. Stephen Grey is a British writer, broadcaster and investigative reporter with over two decades of experience of reporting on intelligence issues. He is best known for his world exclusive revelations about the CIA’s program of ‘extraordinary rendition’, as well as reports from Iraq and Afghanistan. A former foreign correspondent and investigations editor with the Sunday Times, he has reported for theNew York Times, Guardian, BBC and Channel 4, and is currently a special correspondent with Reuters. Grey is the author of Ghost Plane (2007), on the CIA, and Operation Snakebite (2009) about the war in Helmand, Afghanistan. The story of an infamous crime, a revered map dealer with an unsavory secret, and the ruthless subculture that consumed him. Maps have long exerted a special fascination on viewers – both as beautiful works of art and as practical tools to navigate the world. But to those who collect them, the map trade can be a cutthroat business, inhabited by quirky and sometimes disreputable characters in search of a finite number of extremely rare objects. Once considered a respectable antiquarian map dealer, E. Forbes Smiley spent years doubling as a map thief – until he was finally arrested slipping maps out of books in the Yale University library. The Map Thief delves into the untold history of this fascinating high-stakes criminal and the inside story of the industry that consumed him. 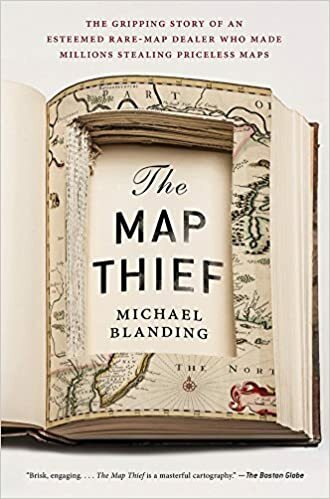 Acclaimed reporter Michael Blanding has interviewed all the key players in this stranger-than-fiction story, and shares the fascinating histories of maps that charted the New World, and how they went from being practical instruments to quirky heirlooms to highly coveted objects. Though pieces of the map theft story have been written before, Blanding is the first reporter to explore the story in full—and had the rare privilege of having access to Smiley himself after he’d gone silent in the wake of his crimes. Moreover, although Smiley swears he has admitted to all of the maps he stole, libraries claim he stole hundreds more—and offer intriguing clues to prove it. Now, through a series of exclusive interviews with Smiley and other key individuals, Blanding teases out an astonishing tale of destruction and redemption. The Map Thief interweaves Smiley’s escapades with the stories of the explorers and mapmakers he knew better than anyone. Tracking a series of thefts as brazen as the art heists in Provenance and a subculture as obsessive as the oenophiles in The Billionaire’s Vinegar, Blanding has pieced together an unforgettable story of high-stakes crime. On Palestine is Noam Chomsky and Ilan Pappé’s indispensable update on a suffering region. Operation Protective Edge, Israel’s most recent assault on Gaza, left thousands of Palestinians dead and cleared the way for another Israeli land grab. The need to stand in solidarity with Palestinians has never been greater. 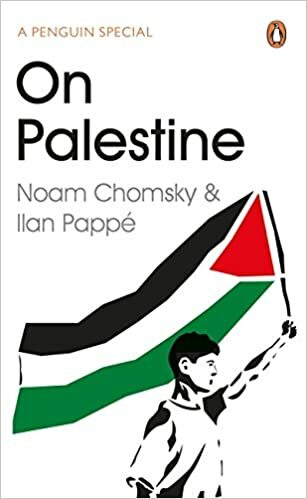 Noam Chomsky and Ilan Pappé, two leading voices in the struggle to liberate Palestine, discuss the road ahead for Palestinians and how the international community can pressure Israel to end its human rights abuses against the people of Palestine. This urgent and timely book offers hope and a way forward for all those committed to the struggle to liberate Palestine. On Palestine is the sequel to Chomsky and Pappé’s acclaimed book Gaza in Crisis. The 20th Century has been one of enduring, rapid and fundamental social and political change. In Southern Africa, innumerable wars, rebellions, uprisings and protests have marked the integration, disintegration and then reintegration of both society and subcontinent during this period. The century started with a brief but total war. Less than ten years later victorious Britain brought the conquered Boer republics, and the Cape and Natal colonies, together into the Union of South Africa. And the military of this early creation served not only in all of the major wars of the twentieth century, but also in a number of regional struggles: rebellion on the part of Afrikaner nationalists, industrial unrest fanned by syndicalists, and uprisings conducted chiefly but not exclusively by disenfranchised black South Africans. The century ended as it started, with a war. But this was a limited war, a flashpoint of the Cold War, which embraced more than just the subcontinent and lasted a long, twenty-three years. 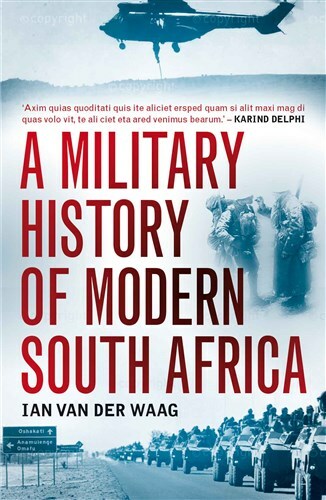 The first of its kind, A Military History of Modern South Africa provides an overview of South African military history from 1899 to 2000. Focusing on the campaigns and battles, it also brings discussion on the evolving military policy and the development of the South African military as an institution into a single volume. The Colour of Our Future makes a bold and ambitious contribution to the discourse on race. 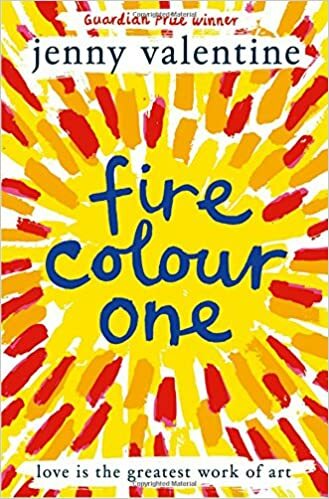 It addresses the tension between the promise of a post-racial society and the persistence of racialised identities in South Africa, which has historically played itself out in debates between the ‘I don’t see race’ of non-racialism and the ‘I’m proud to be black’ of black consciousness. What the chapters in this volume highlight is the need for a race-transcendent vision that moves beyond ‘the festival of negatives’ embodied in concepts such as non-racialism, non-sexism, anti-colonialism and anti-apartheid. Steve Biko’s notion of a ‘joint culture’ is the scaffold on which this vision rests; it recognises that a race-transcendent society can only be built by acknowledging the constituent elements of South Africa’s EuroAfricanAsian heritage. The distinguished authors in this volume have, over the past two decades, used the democratic space to insert into the public domain new conversations around the intersections of race and the economy, race and the state, race and the environment, race and ethnic difference, and race and higher education. Presented here is some of their most trenchant and yet still evolving thinking. South Africa is ready for a new vocabulary of national consciousness that simultaneously recognises racialised identities while affirming that as human beings we are much more than our racial, sexual, class, religious or national identities. Irregular Army connects some of the War on Terror’s worst crimes to this opening-up of the US military. 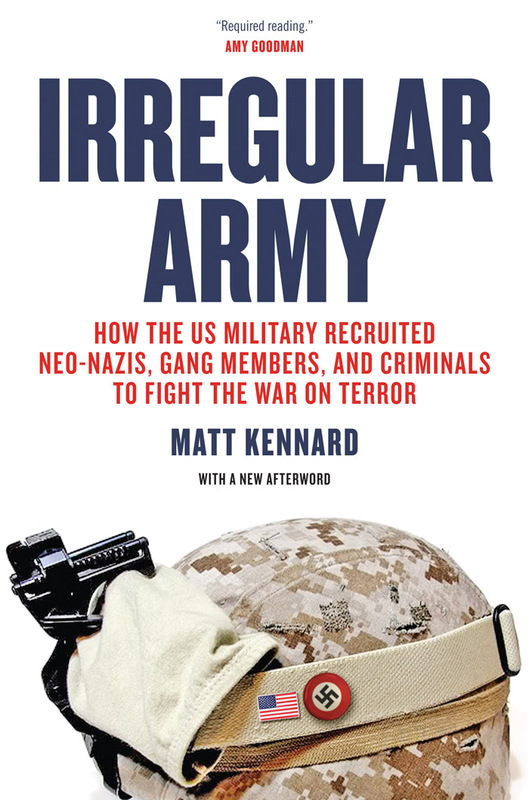 With millions of veterans now back in the US and domestic extremism on the rise, Kennard’s book is a stark warning about potential dangers facing Americans—from their own soldiers. “Irregular Army is required reading for anyone probing the true horror of modern American war. Kennard exposes an organized system of destruction that serves well the generals, the politicians, and above all the profiteering military contractors, but which exploits the poor and vulnerable, and trains and arms the most hateful and vicious in our society.” Amy Goodman, host and executive producer, Democracy Now! In the summer of 1990, Cathy’s brother Matty was knocked down by a car on the way home from a night out. It was two weeks before his GCSE results, which turned out to be the best in his school. Sitting by his unconscious body in hospital, holding his hand and watching his heartbeat on the monitors, Cathy and her parents willed him to survive. They did not know then that there are many and various fates worse than death. This is the story of what happened to Cathy and her brother, and the unimaginable decision that she and her parents had to make eight years after the night that changed everything. It’s a story for anyone who has ever watched someone suffer or lost someone they loved or lived through a painful time that left them forever changed. Told with boundless warmth and affection, The Last Act of Love by Cathy Rentzenbrink is a heartbreaking yet uplifting testament to a family’s survival and the price we pay for love. Stoked! is an inspiring true story about courage, determination and the power of dreams. 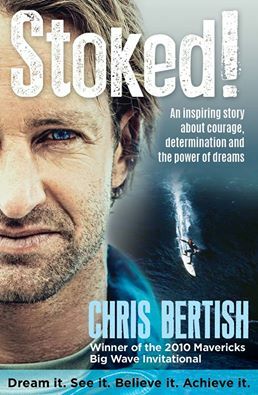 Chris Bertish was a skinny little kid from Cape Town when he started surfing with his brothers. Fiercely driven and constantly pushing his boundaries, Chris was not content with conquering ‘ordinary’ big waves. He wanted more: bigger waves, bigger swells, more adrenaline. What began as a personal quest to prove to himself that he was one of the best in the ‘big-wave brotherhood’ culminated a decade later with Chris being crowned South Africa’s first Mavericks BigWave Champion. Competitors in the 2010 event were faced with the biggest and heaviest waves ever recorded in the history of the sport and Chris, on his own budget, on the back of a 40-hour plane journey and on borrowed equipment, outsmarted and outperformed the world’s best-paid professional surfers. How did Chris achieve this feat? ‘Nothing is impossible, unless you believe it to be’ is just one of the philosophies he lives by. Out of his passion for big-wave surfing has grown a profound wisdom and an appreciation of a few simple truths, which he shares in Stoked! With his infectious enthusiasm, Chris tells how he pulled off death-defying antics time and again, overcame overwhelming obstacles and fears, and parried every blow that fate dealt him, all without ever losing faith or focus on his dreams. In Januarie 2003 het Suid-Afrika wakker geword met die nuus dat nege mans gedurende die vroeë oggendure in Sizzler’s, ’n bordeel met net mans in Seepunt, Kaapstad, vermoor is. Die twee moordenaars het naby Sizzler’s gewoon en is gou in hegtenis geneem. Aangesien hulle nooit in die hof getuig het nie, bly hulle motiewe onbekend en het die moorde meer vrae as antwoorde gelaat. 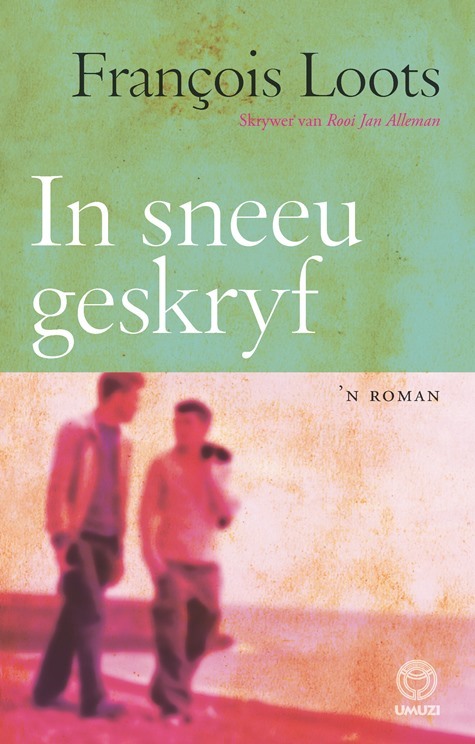 Die roman In sneeu geskryf volg die lewens van drie jong mans tydens die weke wat tot die moorde lei. Platsak Frikkie het pas matriek voltooi en begin by die bordeel werk. Bertus is ’n dertigjarige kliënt wie se lewe verbrokkel – en op Frikkie verlief raak. Adam bestuur ’n nabygeleë eetplek en word gedryf deur finansiële nood en sy verval in waansin. Die skrywer, François Loots, woon in Seepunt. In sneeu geskryf skets dié Kaapse voorstad in die middel van somer, die besige toeristetyd. Internasionaal gevierde misdaadskrywer Deon Meyer se bundel tydskrifverhale Bottervisse in die jêm het in 1997 verskyn. 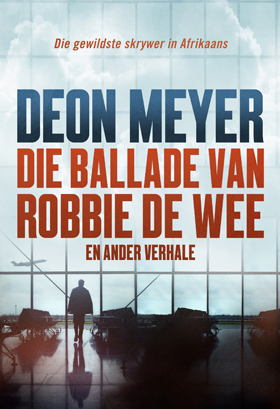 Nou is dié lekkerleesverhale in ’n splinternuwe, hersiene gedaante te kry, mét vyf verhale wat nog nooit voorheen gebundel is nie, onder andere “Die ballade van Robbie de Wee“. Elke verhaal ontlok ’n gevoel van deernis met die karakters, of ’n uitbundige skaterlag. En die romantiek bly nie agterweë nie. Van eerste tot laaste krul die leser se tone van pure leesplesier. English as we know it today is enriched with many borrowings and influences from other languages. Aficionado, chutzpah, pro bono, hoi polloi, ketchup, nous, zeitgeist – we use these foreign words every day without thinking of their origins, but what do they actually mean? And just how and why did we English speakers absorb such exotic imports? Each phrase has a fascinating history; colonialism, foreign trade, invasion and immigration all have their role to play in the evolution of our language. Did you know, for example, that ‘lingua franca’ is Italian for ‘Frankish language’ – a name given to a mixed common language used by diplomats of different nationalities in medieval times? Or that the seemingly modern ‘bandana’ comes from the Sanskrit for the ancient Indian technique of tie-dying fabric? 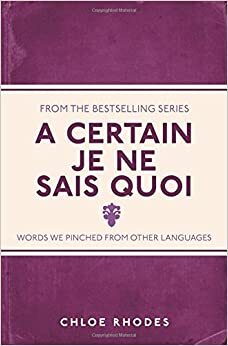 A Certain ‘Je Ne Sais Quoi’ is an accessible and entertaining treasury of information that ‘connoisseurs’ (French) of the English language will love! This is the story of a remarkable organisation of white South African women who carved out a unique role for themselves in opposing the injustices of apartheid and working towards a free and democratic country. It is written by Mary Burton, herself national president of the Black Sash for many years and, later, one of the Truth and Reconciliation commissioners. Lulu and Tee have brought us many amazing real life stories. There were the penguins saved from the oil spill, Eric the Baboon, Nicole the shark, the rhino saved from poachers, the toad living in the wetlands and now we get to meet Owalla the Elephant. Please join us for the launch of Linda Fellowes’s new book, Owalla: Elephants Never Forget. Join us for a great morning!